Posted 1/5/12 – Services for Michael Zubia, longtime Sierra Madrean who passed away at the age of 42 in late December, will be held at St. Rita Catholic Church on Friday, Jan. 6th at 10am. 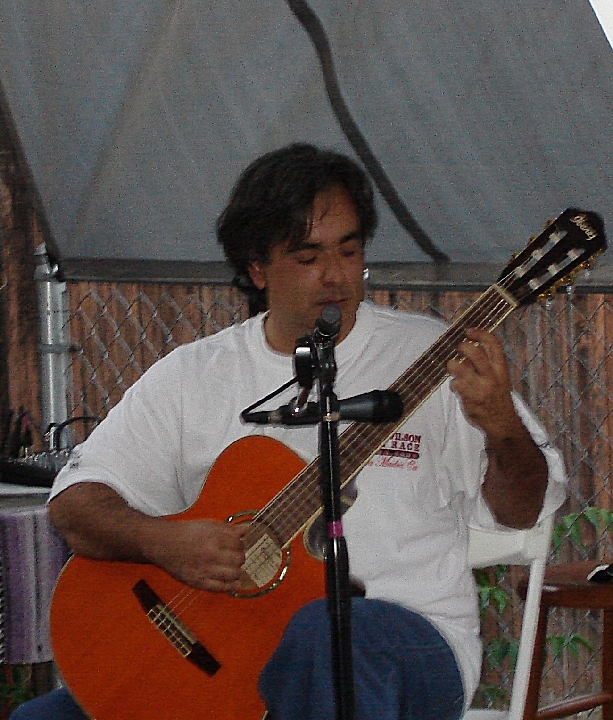 Zubia enjoyed playing classical guitar, and was a regular performer at the Wistaria Vine on Wistaria Festival day for the last several years. He was a big fan of the Lakers, the Dodgers, UCLA and Pizza. He is survived by his father and two sisters, he was pre-deceased by his mother and an older brother. 4 Comments on "Service for Mike Zubia to be Held Friday, Jan. 6th"
I can’t believe what I am reading. I was Mike’s friend back in high school, we met on a sophmore retreat and we went to the Junior Prom together. He was a great guy. I was looking to reconnect with old friends and I feel bad I missed the chance to catch up with you. I am sad to hear you are gone. May you rest in peace. I remember you Gricelda! Michael did talk about you from time to time when we would talk about memories! Thank you for the kind words about my brother! I remember Mike Zubia very fondly. He was a teammate of mine at La Salle Highschool my freshman, sophmore and junior years at La Salle Highschool. I did not know him well but he was a spirited and enthusiastic guy that enjoyed baseball and he was a lot of fun to be a teammate of. I am sure that he will be missed. I enjoyed the short time we had together. I am quite sure you are in a better place!